Home Beginner Runner Is Running Bad For your Joints & Bones? Is Running Bad For your Joints & Bones? Running is great for your cardiovascular fitness and health. A regular running routine can whip you into shape quick, increase your stamina, tone your body, etc., but what about its impact on your bones and joints? Conventional ways of thinking have always stated that running can mess up the bones and cause serious bones problems. Couldn’t be further from the truth. In fact, current research has shown, over and over again, that it’s not the case. That’s why, in today’s post, I will delve a little deeper into some of the research conducted on this topic. Not only that, I’ll also discuss some of the ways that running can help increase bone strength, reduce inflammation, and prevent joint degenerative disease—all of which can help you lead a longer, ailment-free life. Osteoporosis is a serious public health problem that affects 200 million people worldwide, with roughly 40 million people in the United States alone, according to the National Institute of Health. Meaning “porous bone,” Osteoporosis is a bone disease that features weak and easily broken bones, especially in the hips, spine, wrists, and shoulders. This crippling disease occurs when the body loses too much bone density, makes too little it, or both. Research shows that regular running can increase bone density, which may help prevent osteoporosis and other bone-related issues as we get older. 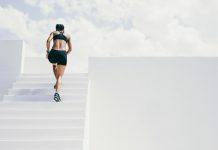 In a study published in the European Journal of Applied Physiology, a team of researchers examined bone density of 122 marathon runners, as well as 81 half-marathon and 10K race athletes. Then, after undergoing an ultrasonographic assessment of the right and left calcaneus; the researchers compared the athletes’ bones with those of 75 sedentary individuals. 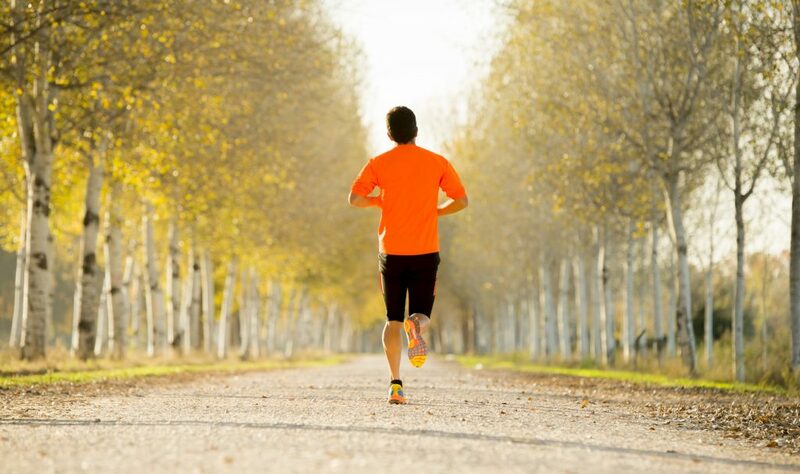 The researchers found that the running group had much healthier bone density and stiffness than the sedentary group. Not only that, endurance athletes—half marathon and marathon runners—had denser bone than those who participated in shorter distances races. In other words, the more, the merrier. What’s more? Classic cardio exercises, such as swimming, cycling, and rowing do not train your bones the way running does, according to the researchers. Research conducted at the University of Missouri reported that running is better for building strong bones than traditional resistance training. So, what’s the secret here? Well, it all boils down to bone density. Bone density is a measurement of the mineral content inside of the bones. People with elevated bone mineral content are less likely to suffer from osteoporosis-related fractures, research shows. In healthy people (and animals), the bones respond to stress by growing, adapting, remodeling, rebuilding, and transforming as a result of the stresses put through. This is what’s known as the Wolfe’s Law. The greater the stresses to a particular bone, the greater the osteoblast reaction—the bone forming cells process that functions in groups of connected cells. What does this mean for runners? This means that the weight-bearing bones of the spine, pelvis, and, the legs, in runners tend to be stronger than the same bones in sedentary individuals. 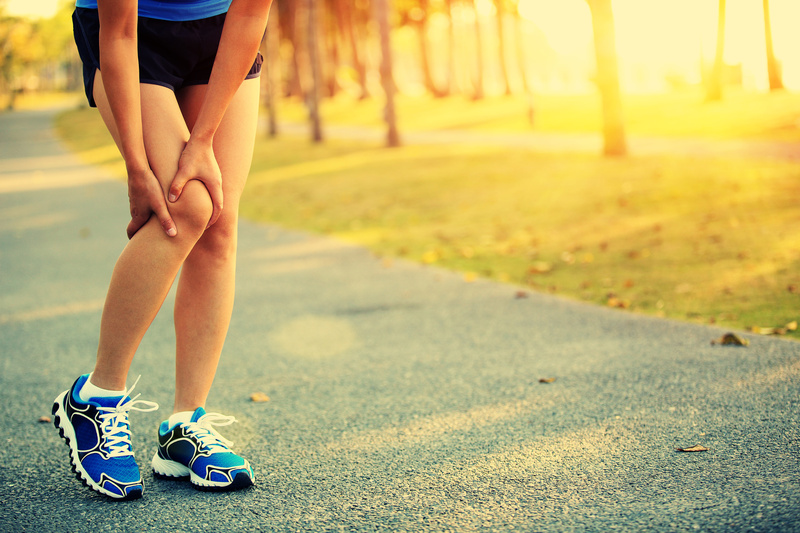 Running And Joint Health—is Running Bad for your Knees? Whether you’re a complete beginner trying to get in shape for your first 5K or an elite marathoner who regularly cranks out 40 to 60 miles a week, chances are you’ve heard that running can cause permanent knee damage. This is, hands down, one of the most entrenched myths about running, especially among non-runners, is that it can lead to arthritis, which is the irreparable wearing away of the knee cartilage. To be honest. I understand the logic behind this myth. Running is high impact, and its repetitive nature might wear away at your knees. Every time your feet strike the ground, you land with multiple times of your body weight—roughly a force of about two to three times your body weight goes up through it. So, it’s no stretch of the imagination to conclude that running is bad for your knees. With that said, science disagrees. Recent research shows that pounding the pavement is unlikely to lead to the onset of arthritis, ironically and specifically because of the nature of the sport. In healthy runners, knee cartilage actually gets stronger and more injury-resistant under the right amounts of stress. Here are some of the studies that have debunked the “Running is bad for your knees” myth. First, let’s start with a study published in Knee Surgery, Sports Traumatology. During the research, a group five men and five women in their 40’s with an average BMI of 25.9, was put through a supervised six-month beginner marathon training and then completed it by the end of the experiment. During the training months, the subjects averaged about 20 miles a week. Then they had their knees examined both before and after the race. More specifically, the researchers looked at the volume and thickness of cartilage at different places in the knees while using highly sensitive 3D MRI analysis. The conclusion? The researchers found no real damage. In fact, the runners’ knees remained basically unchanged by training for and completing the whole 26.2-mile race. In layman’s terms, no real evidence proves that running increases the risks of oseteorathiris, even among those participating in long distance running. Running is also safer on your joints than walking, according to a study published in Medicine and Science in Sports and Exercise. Research looking at the number of hip replacements and cases of osteoarthritis of 74,752 runners and 14,625 walkers over a period of 5.7 years found that running does not increase the chances of joint related problems, like osteoarthritis. In fact, the researchers concluded that the runners were less likely to develop arthritis than their non-active counterparts. The running group needed fewer hip replacement surgeries and had fewer cases of osteoarthritis than the walkers. According to the research author, Paul Williams, running reduces BMI more than walking. Research shows that obesity is the largest factor for chronic joint issues. In fact, your risk of joint-related diseases increases five percent for every point increase in body mass index. So what should you say when your concerned uncle suggests that running will ruin your knees? Well, simply shrug it off. The current scientific literature is clear on this subject. The main causes of knee problems are genetics and obesity. These are the main risks for developing knee issues—not running. The idea that pounding the pavement on a consistent basis can take its toll on the cartilage in the knee joint, leading to inflammation, seems fairly intuitive. But, once again, science has also debunked this age-old running myth. Running can help reduce inflammation in knee joints, according to a small-scale study conducted at Brigham Young University, and published in the European Journal of Applied Physiology. This counterintuitive conclusion was reached after examining the knee joint fluid of several healthy male and female runners between the ages of 18 and 35, both before and after a 30-minute run. The researchers looked at two markers for inflammation by measuring the synovial fluid, which is the liquid that helps lubricate the cartilage and bone within the capsule, for two proteins (known as GM-CFS and IL-15) that indicate the presence of harmful inflammation and could signal changes related to the onset of arthritis. The researchers found that levels of both proteins decreased in concentration in the subjects after the session, suggesting a reduction in overall inflammation in the joint. 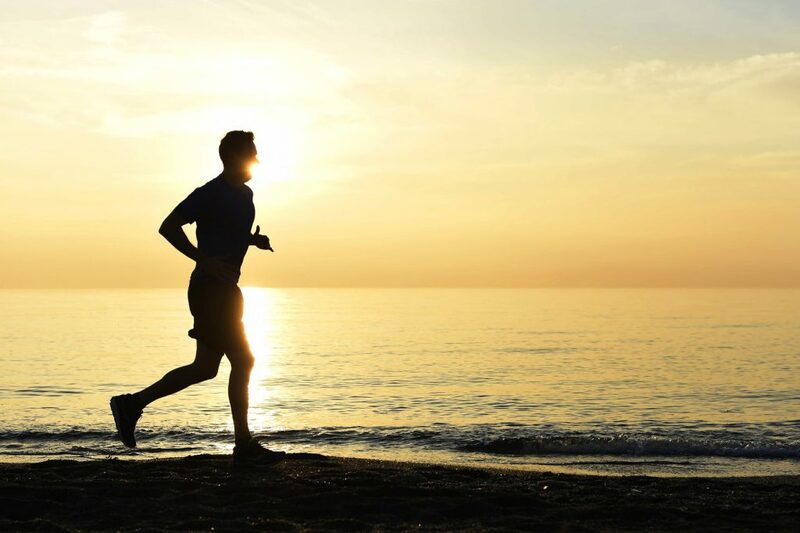 According to the researchers, running is chondroprotective, which might be beneficial in delaying the onset of joint-related diseases, such as osteoarthritis. With all being said, as a runner, the above does not mean that you’re immune to other knee pains and injuries. The fact is, issues like Runners Knee, knee sprains, ITBS (not exactly a knee injury), stress fractures, and other overuse injuries are quite common among runners. Do not overtrain. Be aware of the terrible too’s research also shows that runners risk stress fractures in the lower limbs when they do too much too soon and/or when they lack certain dietary and nutritional ingredients. In fact, if you run too much too soon, you can actually reduce your bones’ mineral content, increasing the risks for injury. Strength and diet. Besides gradual training, you can also keep your bones and joints healthy by strength training and proper eating. Check your history. If you have a history of knee pain/injury, have a genetic disposition to joint ailments, then long distance running might not be a good idea. If it’s the case, consider changing your training approach, or take things slow and see what the future holds for you. Therefore, if you already have diagnoses of joint pain or osteoarthritis, you need to take it slow. Just keep in mind that the high-impact nature of the sport can make your pain and ailment much worse. 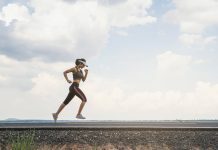 The extra trauma and load caused by running can be a source of trouble, especially for heavier and/or beginners who are pounding the pavement. Next articleWhat is the Difference Between Fitness & Health?